The 64th USHA National Three Wall Championships produced incredible drama throughout Labor Day Weekend and featured the two best men’s and women’s 3-Wall stars on Finals’ Sunday. 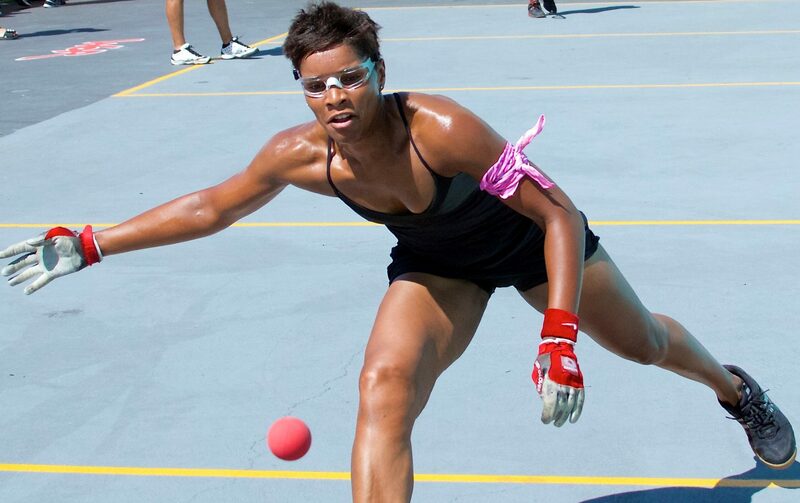 Players were greeted by hot and muggy conditions with the humidity nearing 80%, making fitness an even greater factor in the game’s most grueling code of handball. Defending champion and number one seed Tyree Bastidas defeated Loren Collado, Billy O’Donell and Nik Nahorniak to reach Sunday’s final. Already the holder of the 1-Wall national and world championship and the 3-Wall national championship, Bastidas would aim to defend his crown of unprecedented outdoor supremacy. Sean Lenning arrived at his favorite event seeking his sixth 3-Wall national singles championship. Entering the event as the number three seed on the heels of a semifinal loss at last year’s event, Lenning advanced to the finals with wins over Ryan Bowler, Jurell Bastidas and a comeback victory over Southern California’s Shorty Ruiz in Saturday’s semifinals. “Premature, I know, [but]…This is Lenning’s sixth 3-wall singles national title (11th between doubles and singles) and virtually assures him his spot in the hall of fame,” revealed WPH Executive Director David Vincent. Megan Dorneker was seeking her record ninth USHA National Three Wall Singles Championship, while Tracy Davis was aiming for her second. Davis has struggled against Dorneker in Maumee, winning only one of their previous 3-Wall encounters. Davis demonstrated a vastly improved left hand to go along with her unparalleled fitness and sensational court coverage. Davis claimed her second USHA National Three Wall Women’s Singles Championship, 21-14, 21-12, and now holds the USHA Women’s 1-Wall National Championship, Women’s World 1-Wall Championship and the WPH 3Wallball World Championship. Watch Tracy Davis, Tyree Bastidas and the rest of the game’s best outdoor stars compete in the 2014 WPH/WOR 3Wallball World Championships live on ESPN3 September 12-14. Click onto http://espn.go.com/watchespn/ to catch all of the exciting action live from the Stratosphere Hotel and Casino on the Las Vegas Strip! Thank you to WPH reporter and Gold Donor Rodney Fink!